If you’re reading this blog, we hope you know by now that level funded healthcare can help protect your business from abnormally high costs. Now, maybe you want to dig a little bit deeper and start understanding more facts about your medical stop loss coverage and explore some more of the options you have to help benefit of your business. There are a lot of options out there for your self-funded healthcare that you might not be aware of. In this post, we explore the term ‘lasering’ and see if it can help your business. Lasering is if you need to adjust your self funded plan specifically for employees with pre-existing conditions or higher than normal health care costs. A healthcare plan for your employees can often be “one-size fits all”, unless you specify. This means that when a high cost claim is filed, the rates of every employee sees an increase. The lasering method allows you to tailor your business medical insurance to the needs of perhaps one or two individual employees, instead of raising the premium rates for the whole team. The employer absorbs and extra out of pocket costs, but maintains the rates of the rest of the staff. Is the Laser Option Right for Your Level Funded Plan? It’s important to understand the needs of the individual, but catastrophic claims are going to happen now matter how careful you are. A laser option for individual employee rates is another way that medical stop loss insurance can help protect the current and future cash flow of your business. Understand how your employee health insurance costs impact the expenditures of your business. It is also important to have as best of an understanding of the healthcare needs of your individual employees. Some might need a targeting option in a short term, but not the long term, and so on. We highly recommend against using any more than a couple of laser options for your self funded health care. 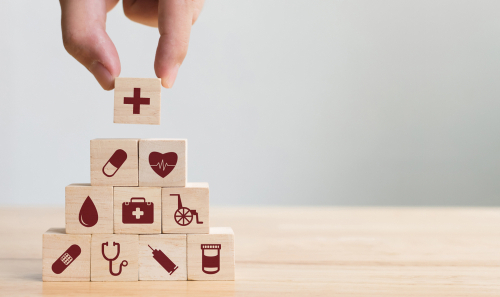 To effectively balance your budget for employee healthcare, you will need to know how to use a laser option at the right time, or for the right individual. Lasers are only used sparingly and will not solve every issue you have with varying degrees of high cost claims. There are It is important for your medical stop loss provider to never single out the individual with known conditions. It’s just another thing to keep in mind when choosing which stop loss policy is best for you. Terminology in the insurance business can be confusing. At Prodigy, we take extra care to ensure that our clients understand as much about their stop loss plans. We distill wordy industry jargon down to something they can understand, and show our clients exactly how to utilize complex aspects insurance of insurance to the fullest. If you have any questions about lasering, or how medical stop loss insurance can help protect your business, contact us any time.